The rooms have either a shower room or a bathroom, WC, minibar, telephone, free internet access. The reception of the hotel welcomes you every day, 24 hours a day. Located on the 1st floor of the castle, these rooms of approximately 40m ² were entirely renovated at the beginning of 2010 and benefit from a very great comfort. Dressed Louis XIV-XV style furniture, with a lounge area or desk, mini-bar, tv channel + / satellite, bathroom with bathtub and wide range of hospitality products, bathrobes, free wifi. 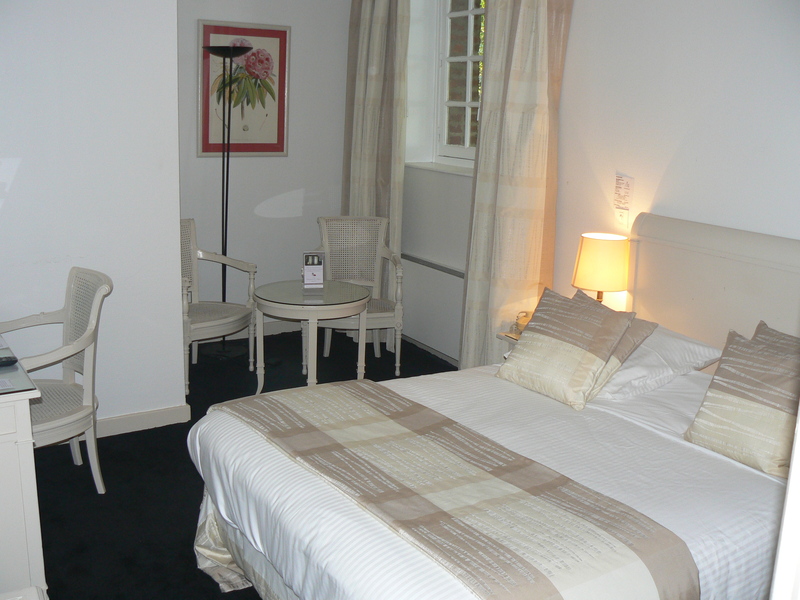 In the heart of the Castle, only one Deluxe + room, it allows a high quality accommodation, thanks to its 35 m². Renovated in 2010, it is located on the second floor of the Castle (elevator to the 1st floor), tv channel + / satellite, mini bar, bathroom with bath, free wifi access. 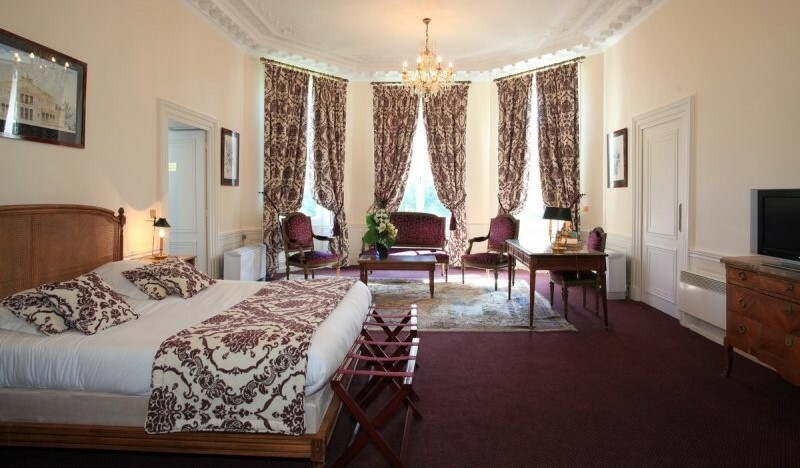 In the heart of the Castle, 6 Deluxe Rooms, including twins and communicating, also allow high quality accommodation. Renovated in 2010, they are located on the second floor of the Castle (elevator to the 1st floor), TV channel + / satellite, mini bar, bathroom with shower or bath, free wifi. 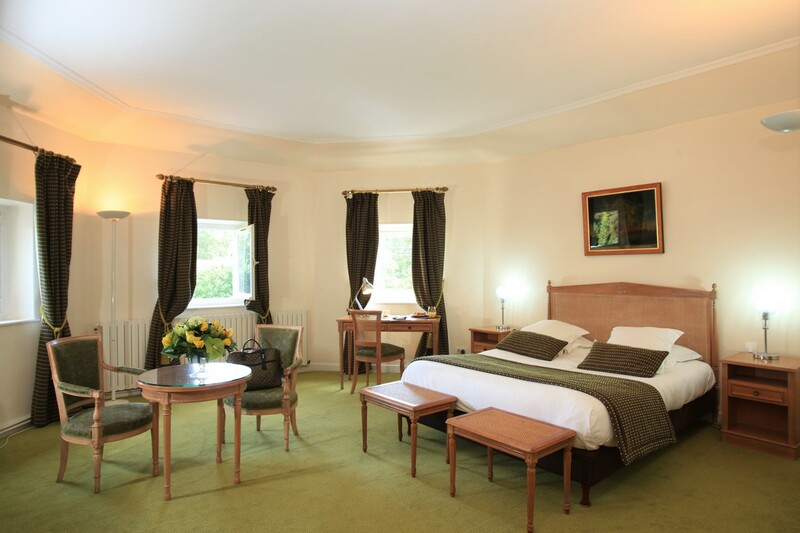 Charming rooms in a floral style, located on the 1st floor (no elevator) of the orangery. This building is adjacent to the castle and once housed former stables whose drinking troughs are still visible in the Malthus Room. 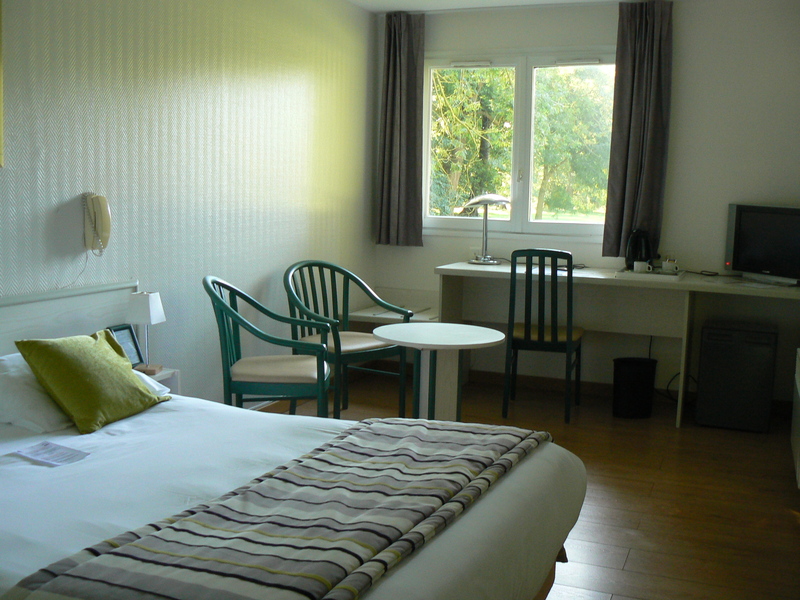 The room is equipped with television with canal + / satellite, mini-bar, bathroom with shower or bath, free wifi access. 19 rooms like so many small cottages nestling under the ancient trees of the 8 hectares of Park, will seduce you by their simplicity and their very affordable price. At 200 meters from the Castle, with a separate car park, you can enjoy the intimacy and calm of nature. 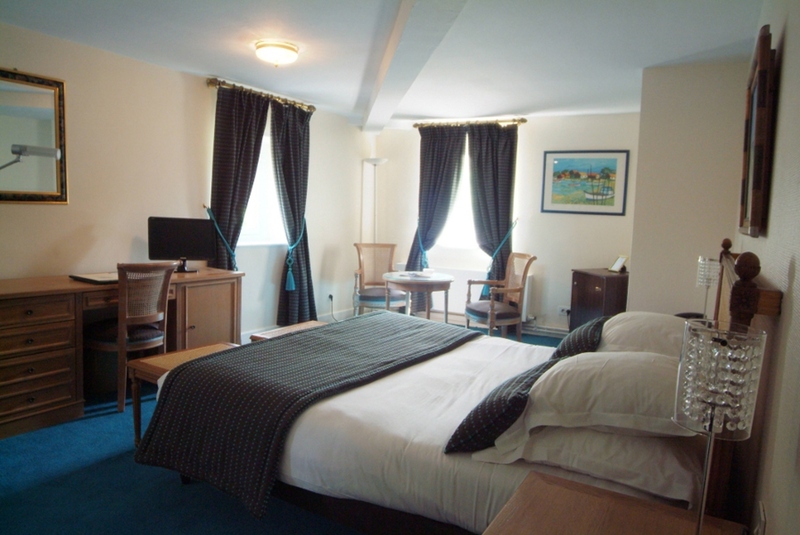 Tv channel + / satellite, mini-bar, tea and coffee making facilities, bathroom with shower or bath, free ADSL access by cable.